- At Om Xpress Print pack P Ltd, we print/supply all types of scribbling pads- plain/printed/customised. - Volume is not a constrain. - Any type of customisation is possible. We are manufacturer, supplier and exporter of Scribbling Pads, available in spiral and perforated ones. We offer these Scribbling Pads in a variety of sizes with hard as well as soft bound covers. 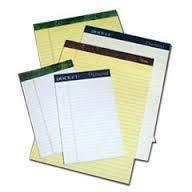 Made from superior quality paper, these scribble pads serves several purposes and available in ruled and plain style. This is durable, compatible in nature and demanded in market. 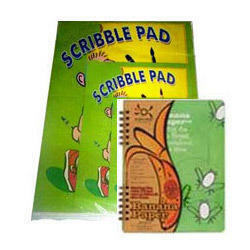 With vast industrial experience, we are involved in offering a wide range of Scribbling Pad. We have been leading the way in the design and supply of high-quality Scribbling Note Pad now available in a wide range of colors, shapes, and sizes. We are providing you a perfect finish for maximum smoothness in writing. It is Tear resistance.